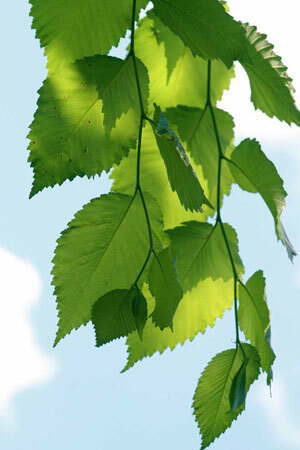 The inner bark of the slippery elm tree contains mucilage that form a viscous or "slippery" liquid when added to water. Native Americans taught the early settlers to use this herb to treat numerous digestive complaints, wounds, and to eat a porridge made from the powdered bark when food was scarce. Slippery elm's demulcent action treats sore throats, heartburn, stomach ulcers, cough, and inflammation of the bowels. Public speakers and singers benefit from slippery elm lozenges to soothe strained vocal cords causing a "hoarse voice." You can purchase commercially made slippery elm lozenges or create your own by mixing the powdered bark with honey. Mucilage contains soluble fiber that acts as a bulking agent to improve both chronic constipation and also to treat diarrhea. Early nineteenth-century physicians made a gruel made from the inner bark to feed sick infants and convalescing patients that were incapable of tolerating other food. Externally slippery elm benefits wounds and infections. A poultice made from the inner bark drains pus from abscesses (boils, carbuncles). During the American revolution, field doctors applied slippery elm poultice to gunshot wounds. Add 1-2 tsp of powder to a cup of cold or hot water for best results, or take capsules and lozenges with a glass of water. Avoid using expensive slippery elm tinctures because mucilage extraction does not require alcohol. Note: Due to Dutch elm disease and over-harvesting, slippery elm bark became threatened species. Ensure your supplier of slippery elm obtains it responsibly.